Five weeks ago my colleague Dale wrote that TAG Heuer has introduced the brand new 2018 Max Verstappen Limited Edition. As he is on holiday I am quickly writing a post with some new details about this watch and how to pre-order it. 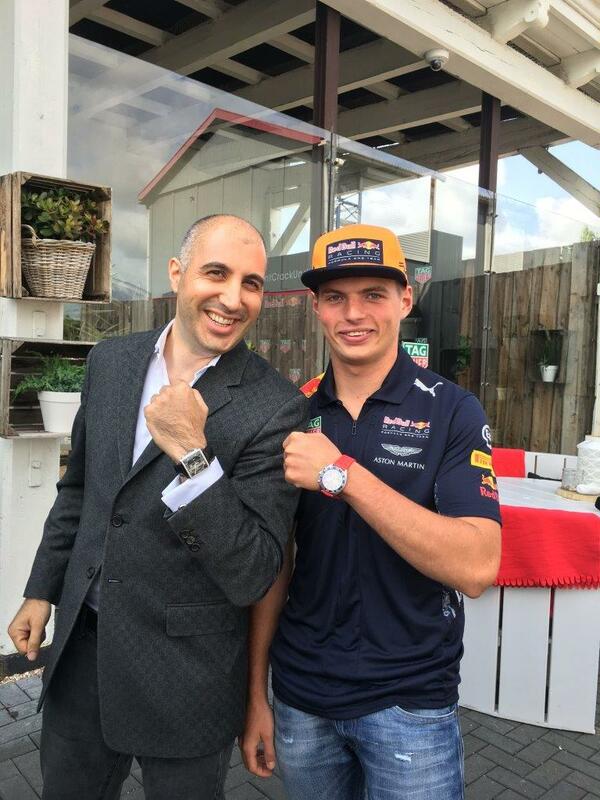 Max Verstappen and I (Alon Ben Joseph) last year at the launch of his second watch. 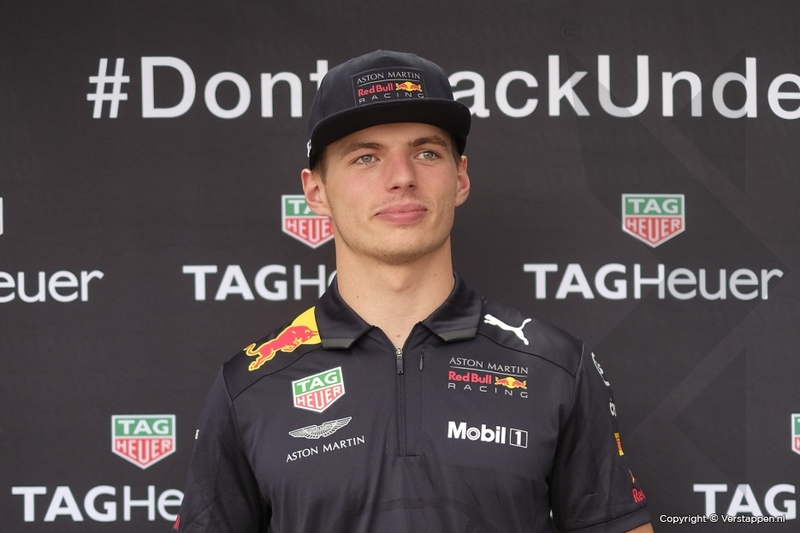 The first Max Verstappen TAG Heuer Limited Edition watch was launched back in 2016: the Tag Heuer Formula 1 Max Verstappen Youngest Grand Prix Winner Special Edition. A limited edition of 500 pieces, the watch (reference CAZ101B.FT8028) was only available in the Netherlands. The second Max Verstappen was introduced in 2017. Rather than taking on the Dutch orange, this watch was done in the colors of the Dutch flag: red, white and blue. The 2017 edition (reference CAZ101G.FT8030) was a limited edition of 533 and again a Dutch market special. On the 15th of July 2018 Max Verstappen visited the TAG Heuer factory in Switzerland and designed his third limited edition watch. Max Verstappen visiting the TAG Heuer Factory in Switzerland (credit: verstappen.nl). Today a little bird told us that the third Max Verstappen Limited Edition - the 2018 version - will not be a Netherlands Only Exclusive, but a worldwide limited edition and therefore they will produce 1.300 pieces. They are set to be launched in November 2018. The recommended retail price for the Netherlands is set at EUR 1.950,= incl. 21% VAT. - Caseback is engraved with Aston Martin Red Bull Racing logo. Unfortunately we do not have a picture yet and now reference number. We are taking pre-orders and we are selling them on a first come, first serve basis. You can place a pre-order by placing a down payment HERE.